I have finally sorted through every last cupboard, box and drawer in my room, and I’ve banished everything I don’t need to the attic or a charity bag. 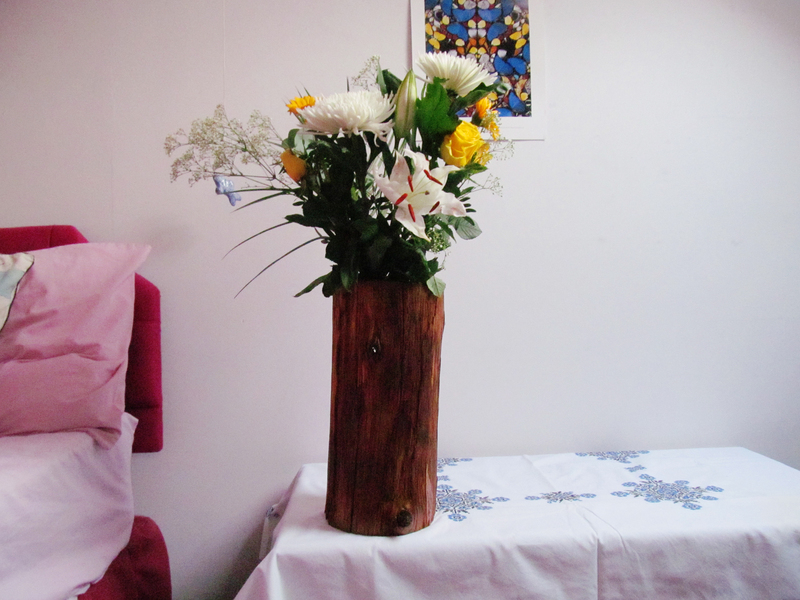 My next project is to make it look pretty and homely! 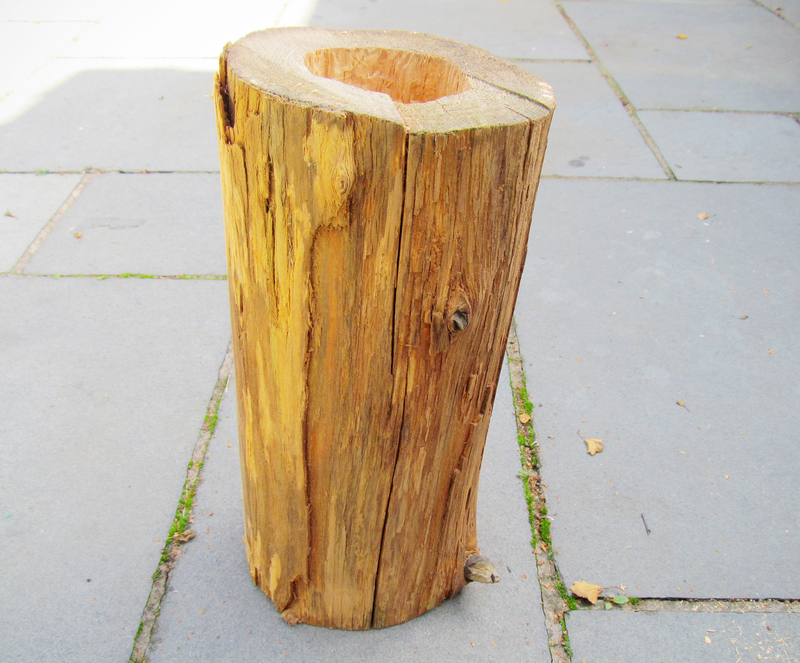 I saw this pin of a tree stump vase by Martha Stewart a while ago, and I desperately wanted to make one but I couldn’t find an existing DIY. I knew I wanted to make it in a way that anyone could do at home (i.e. without a lathe). 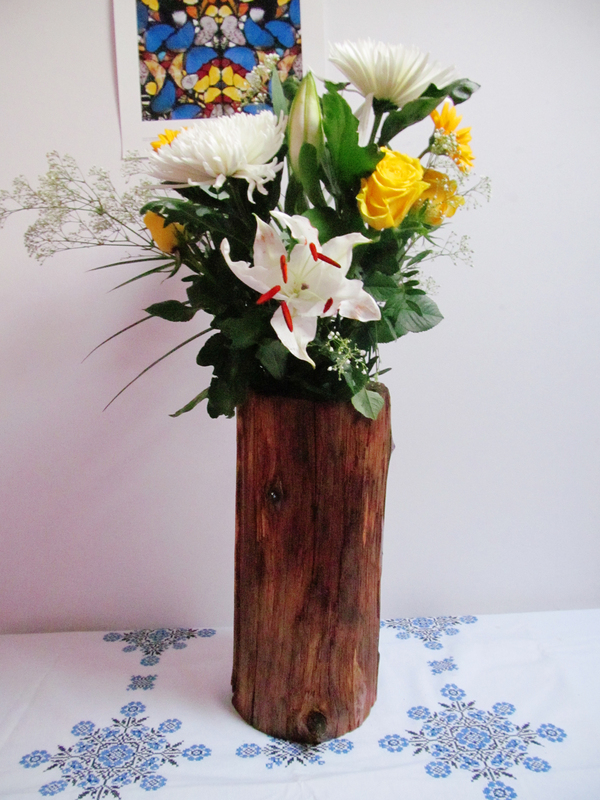 This is the resulting vase! 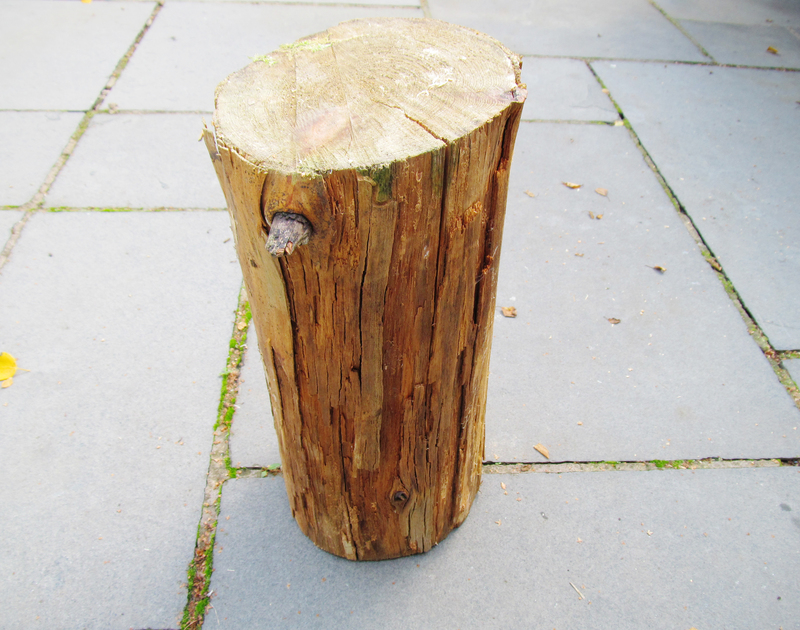 A log! I found mine when I went for a walk in the woods… If you’re less country than me, try the garden center. 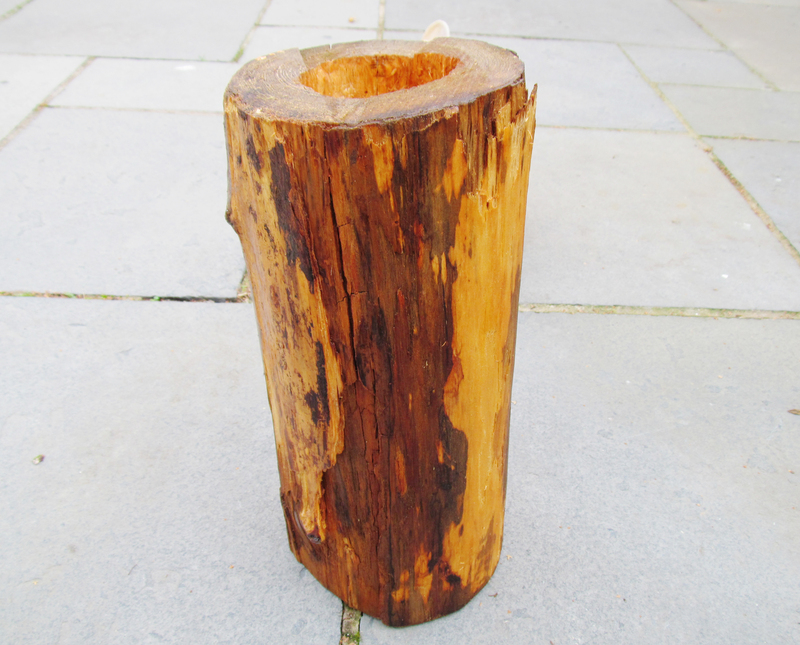 In case you’re wondering, my log measure 15 inches tall and 6 1/2 inches wide, and my jar measures 3 inches wide and 4 3/4 inches tall. Step 1: Use the pencil to draw a circle around your vase (if your vase is larger at the middle than the top and bottom try drawing around the lid). 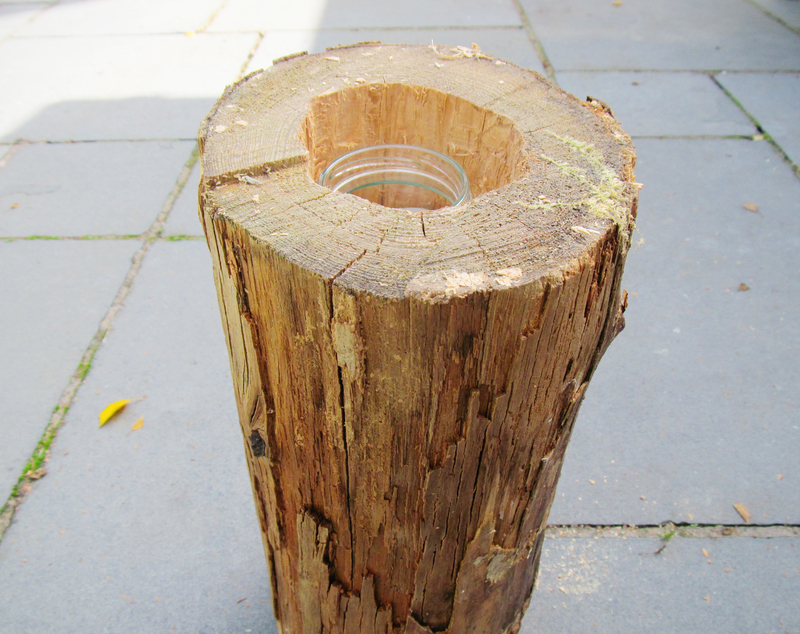 Step 2: To make the hole that your jam jar will fit in, first drill a series of holes within the circle that your drew. 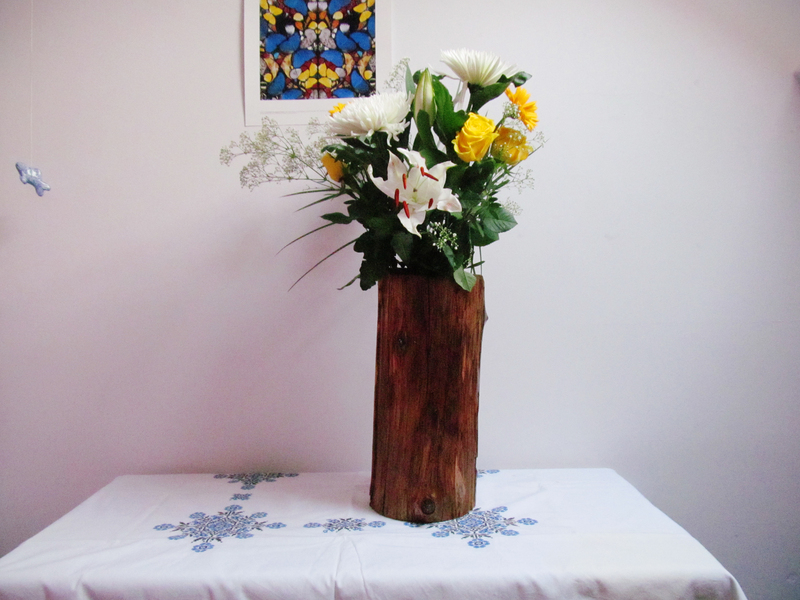 Make sure you drill a little bit over the circle that you drew to give your vase some wriggle room. Then, to get rid of the wood between your holes and the scalloped edges of your circle, put your drill in each existing hole and angle the drill to one side. Wiggling the drill around in the hole also seemed to work (I’m sure that’s the technical term for it). If, like me, you are not very experienced in using power tools, get someone who is to help you! (Thanks a million dad, you’re a superstar). 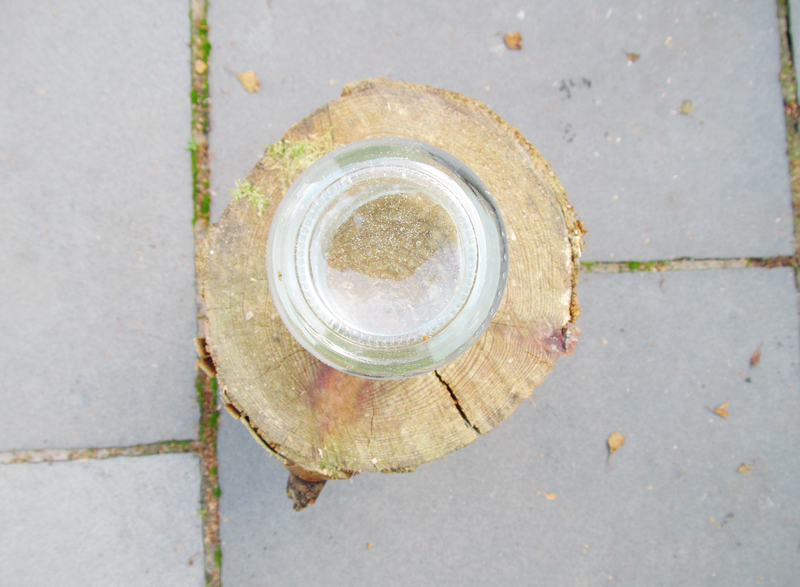 The hole should be deep enough so that the jar doesn’t poke over the edge – my jar is an inch shorter than the hole. 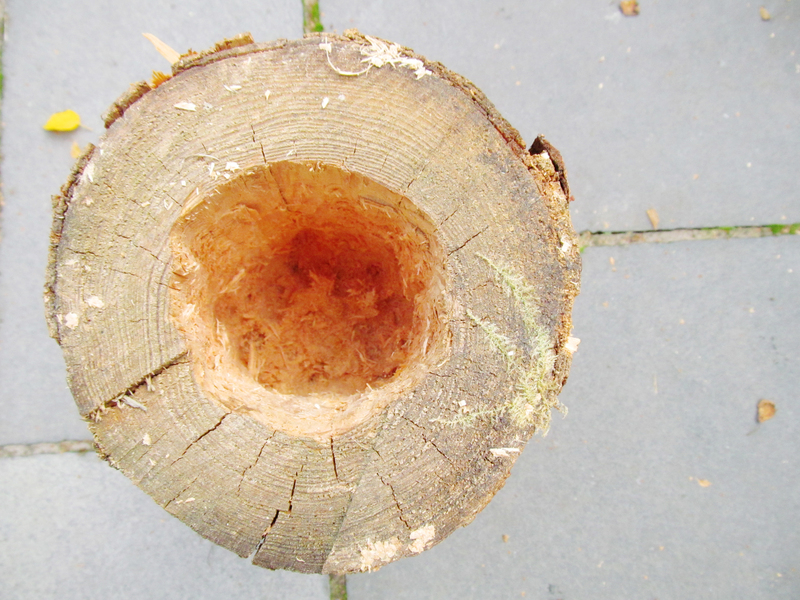 Step 3: Break off any loose bits of bark, and give the log a light sanding to remove splinters and such on the surface. Step 4: Varnish your log! I just used the one coat because I wanted it to retain it’s organic look. That’s very neat! Thanks for the idea! I love this so much! It looks amazing! What a neat idea, I love how it turned out!